Kiwix, an offline wikipedia selection, is installed at Kwena Malapo school. I have blogged before about creating offline copies of wikipedia for use in school computer labs that do not have internet access. Wikimedia, the umbrella organisation behind wikipedia and other related projects, is also keenly interested in offline uses of wikipedia. From November through January, the offline taskforce had a series of IRC meetings where we attempted to answer questions relating to the use of these offline copies. We came up with four recommendations, one of which addressed schools, and another cellphones. In conjunction with this effort, Emmanuel Engelhart made progress and could deliver me both a compressed zim database of 30000 articles (2.4 Gigabytes, including pictures) and the software, called kiwix that could read and deliver this database served by http - the standard web protocol. I was asked by Mark Batchelor of the Sandton Rotary club to help him with the computer lab they installed at Kwena Malapo secondary school. 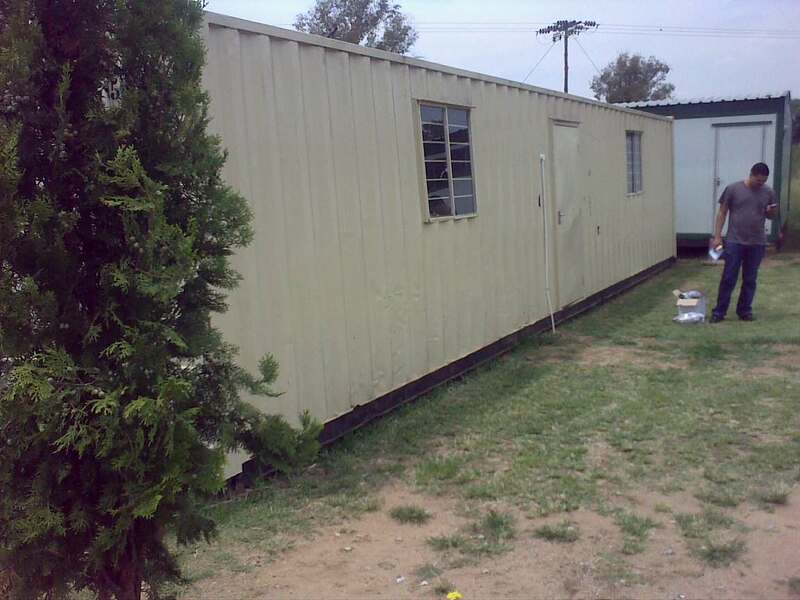 This school, with principal Michael Maligana, has 800 students and operates out of simple prefab buildings close to Lanseria airport in Johannesberg. The computer lab is a converted shipping container. A new door had been put in, with four windows and roof ventilation. A network of donated computers running Windows XP and Microsoft Office had been installed. My proposal to Mark was to install kiwix as a ‘poor mans internet’ - an rich information resource navigable via a browser, with hot-linked words that drill down to more articles. We all recognise this as Internet, but the principles of the information age could now be brought to a school that has no internet connectivity. Ricardo, Mark’s Windows technician, and myself travelled out to the remote farm school on a saturday, and met Michael Maligana. I commandeered one of the computers, installed Ubuntu Linux, kiwix-serve and its software dependencies, the huge zim database and its associated index for search. We networked all the computers, and set the browser home page on each to the kiwix front page. After some networking and power hassles and four hours in the hot environment we finally got it all working. Kwena had 30000 wikipedia articles selected especially for a school environment, and was one step closer to the information age. I wrote a blog post describing how to get the software and install it.